Los Angeles brain injury attorney resources is a post that I thought it would be helpful to provide some additional information for the thousands of Californians that suffer and are suffering from any type of bodily harm caused by a blow to the head. I want this page to be source of information and assistance for anyone who has sustained head trauma not just in Los Angeles but anywhere in the Golden State to know the symptoms of traumatic brain injury, an overview of how this condition is diagnosed and some idea of treatment options. Definition and Scope of the Condition: A closed-head injury occurs when the soft tissue of the brain comes into contact with the bony structure of the skull. Traumatic brain injury is the number one cause of death for persons under the age of 44 in the United States. It is more common than spinal cord injuries, although there is often overlap between the two. A closed-head injury occurs when the soft tissue of the brain comes into contact with the bony structure of the skull most often due to a rapid acceleration and deceleration of the head in one direction and then another. 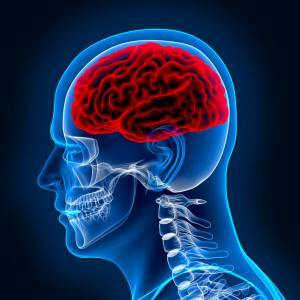 How is a Brain Trauma Injury Diagnosed? In the common case of a traumatic event such as an automobile accident or slip and fall, emergency medical technicians usually arrive on scene and conduct simple tests such as eye movement and motor responses to verbal requests, pupil dilation response to light, and other similar evaluation. Most often persons who sustain a blow to the head who are exhibiting any symptoms of post concussion syndrome will initially visit a hospital emergency room and be assessed initially by a physician using mental status evaluation such as questioning by a physician to determine recall and cognitive functioning including movement and speech, testing of ones senses and reflexes, the taking of medical history, and an overall physical exam. If this warrants further evaluation, diagnostic studies such as head CT scans and Magnetic Resonance Imaging (MRI) can be performed. CT scans are limited in that they usually only detect brain lesions that are more acute. MRI studies usually show more clarity. ER departments are more likely to use CT scans while MRIs are more likely to be used post accident outside of the emergency room setting (i.e. later hospitalization or follow-up examination). X-rays may also be helpful in determining any hard tissue damage such as a skull fracture or fractured vertebrae. Additional diagnosis can come in the form of nerve conduction tests and other methods. Most of this evaluation after the initial trauma care is and should be done by Neurological Specialists familiar with head trauma cases. The evaluation process should include both physical and psychological testing and this is oftentimes conducted by Neurologists, Psychiatrists or a Neuropsychiatrist. Tests range from measuring intellectual functions such as memory, attention, verbal and visual processes to testing of emotionality (e.g. survey to determine presence of emotional symptoms such as decreased emotional sensibility, and irritability among others). What are the Potential Complications That can Result From a Trauma-Induced Strike to the Head? Loss or Disruption of Vision – including blind spots, loss of visual acuity (focus) and even blindness. Hematoma – clots of blood that develop in the extradural (i.e. on or outside the “dura”, which is the outer membrane that surrounds the brain), subdural (under the dura), or intracerebral space (space in between the outer membrane and the brain tissue itself). This can be one of the most devastating effects of brain trauma in that it may lead to necrosis (death of live tissue) or other highly life threatening complications like an aneurysm (dilatation of blood vessels) or stroke. Intracranial Thrombosis – a clot of coagulated blood that forms under the skull and can be fatal. Cranial Nerve Injury – The brain communicates and directs the rest of the body through the nervous system. Therefore, one of the worst complications in a head trauma case is damage to the nerves which control these functions. Cardiovascular Function – Damage to the brain can cause an increase in blood pressure and pulse rate. Respiratory Function – The brain controls the body’s ability to take in oxygen and expel carbon dioxide. Hemostatic – abnormalities in the body’s normal blood clotting functions. Disruption to Water and Electrolyte Levels – disruption to normal kidney function and bodily functions to regulate water and electrolyte levels. Movement Disorders such as tremors and seizures, epilepsy, tics and contortions of the muscles. What are the Treatment Options for Head Injury Cases? Immediate treatment is the best way to prevent more long term damage in a brain injury case due to major damage to brain cells and the biochemical changes that result. A person sustaining a head blow should seek immediate medical treatment at an emergency facility. If they then experience severe headaches, changes in personality or behavior, increased drowsiness or inability to be aroused from sleep, vomiting, or abnormal mobility they should return to the hospital for reevaluation. Ideally, a person exhibiting signs of severe head trauma should be evaluated for 8-10 hours in the ER. Thereafter, the follow up studies and testing can show what measures may be warranted. Treatments can include medications, oxygen therapy, nutritional supplementation, and other methods. Surgical intervention may be warranted in severe cases to to treat skull depressions and other fractures, removal of masses on the brain such as blot clots and reduction of pressure on the brain. Medications such as anti-depressants and anti-anxiety drugs, nerve blocks (for chronic pain), and muscle relaxants. Other treatments can include psychotherapy, physical therapy, biofeedback, and Neuropsychological Rehabilitation (including counseling , education and cognitive therapy to cope with any permanent disabilities). Again, treatments like these should be employed as soon as possible based upon medical directives. Delays can result in further complications including full-blown neurosis or psychosis in some cases.